This is the most common status. It is shown when the car is registered to a private individual (as opposed to a dealer or company). The Government prohibits display of private owner details, however you can obtain the owner's licence details and get them verified. Use our free Seller Check to confirm they own the vehicle. The vehicle is registered to a Registered Motor Vehicle Trader (RMVT). The details of the dealer will be displayed. Owner details are withheld. Confidential owner status is typically given to judges, prison guards and those on witness protection. The registered person (or the joint owner where recorded on the register) must request in writing that the confidential status be lifted and authorise that the details are released to the vehicle buyer (must provide the details of the company/person that the details are to be released to). A contact number for the customer must also be provided in case NZTA need to validate/clarify anything with the customer. The document needs to be signed, if sending by email the customer¿s electronic signature on their email must clearly identify them. 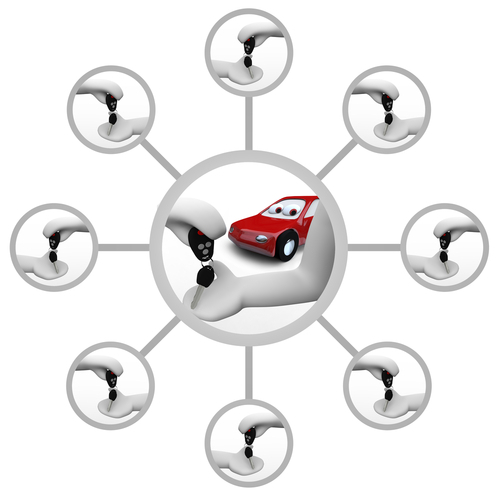 The vehicle buyer must request in writing the details and advise why they are required (e.g. VIR query, finance etc.). The vehicle buyer must provide a contact name and number. The document needs to be signed, if sending by email the vehicle buyer¿s electronic signature on their email must clearly identify them. Both MR-13A and MR-13B forms are required to complete the Change of Ownership transaction. In this case the previous owner has completed the MR-13A form advising that they have sold the vehicle to another party. However, the current owner has not completed an MR-13B form to agree to accept ownership and liability for the vehicle. Hence the current vehicle owner is not yet officially known, and the previous owner is still technically responsible for the vehicle's parking tickets, fines, etc. We suggest that both you (the new buyer) and the current owner (seller) visit an NZTA agent (for example VTNZ or NZ Post) and complete the Change of Ownership procedure. Having the seller present is not a legal requirement. The current owner has completed the required MR-13B form indicating that they have taken responsibility for the vehicle. However, they have not proved conclusively who they are by presenting suitable identification to an NZTA agent (for example driver's licence or passport). We suggest that both the seller and the new owner visit an NZTA agent (for example VTNZ or NZ Post) and complete the Change of Ownership procedure. The current registered owner has owned the vehicle for only a short period of time. If they are not a Registered Motor Vehicle Trader (RMVT) then you should question why they are selling the vehicle so soon after purchasing it. There could be mechanical or legal issues that you need to be aware of. When there is a change of ownership, the NZTA automatically advise the seller of the change in ownership to ensure it was authorised. However this process can take several weeks and it is possible that the previous owner has not yet been made aware of the change, and therefore has not had a chance to dispute the change of ownership, or worse, report the vehicle stolen. In this case we advise you to contact the previous owner and confirm the change of ownership was legal (e.g. the vehicle has been purchased correctly and was not stolen).